Does Zoho Avoid Hiring People with Degrees? When will the First Class of Zoho University be Open? Brent Leary: Are there any age limits? Because maybe somebody a little older than a high school might be interested in this. Somebody like me. I’m glad to get paid to go to school. Learn to trade, yeah that’s great. Sridhar Vembu: So, these are some of the things I’m thinking about. 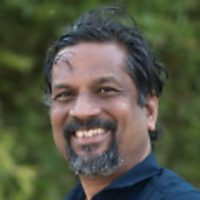 How Does Zoho Empower eCommerce? What Advice Do You Have for Growing a Business? What is the Biggest Challenge Coming for Small Business?